In Canada, a dime is a coin worth ten cents. 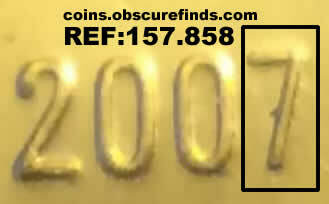 It is the smallest (in physical size) of the currently issued Canadian coins. According to the Royal Canadian Mint, the official national term of the coin is the 10 cent piece, but in practice, the term dime predominates in English-speaking Canada. It is nearly identical in size to the American dime, but unlike its counterpart, the Canadian dime is magnetic due to a distinct metal composition: from 1968 to 1999 it was composed entirely of nickel, and since 2000 it has had a high steel content. Currently the dime has, as with all Canadian coins, a portrait of Her Majesty the Queen on the obverse. 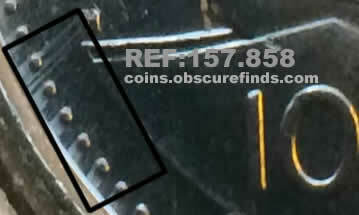 The reverse contains a representation of the Bluenose, a famous Canadian schooner. The artist, Emmanuel Hahn, used three ships including the Bluenose as his models, so the ship design is actually a composite. The coin is produced by the Royal Canadian Mint at its facility in Winnipeg. The word "dime" comes from the French word "dîme", meaning "tithe" or "tenth part", from the Latin decima [pars].